Kim Chi is a finalist in this season's "RuPaul's Drag Race." Find out on the season finale tonight of "RuPaul's Drag Race" whether Korean American drag sensation Kim Chi takes the crown. Korean American drag sensation Kim Chi was welcomed by a large, enthusiastic San Francisco crowd last Saturday at The Oasis in SOMA. It’s no real surprise her show was sold out, as her national celebrity status has exploded this year after being a contestant on Logo’s hit show, RuPaul’s Drag Race, now in its 8th season. Along with two other drag finalists, audiences will find out on the season finale tonight who will win the crown. 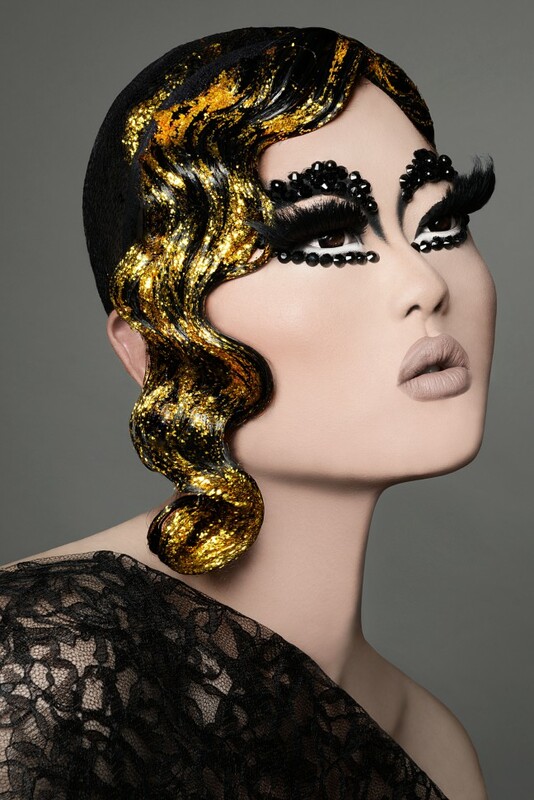 Kim Chi, a Chicago-based drag queen, high-fashion model and artist, has built a large fan base with her incredible style and over-the-top looks, many of which are inspired by her cultural heritage and by live-action anime. Born in the U.S. and raised in South Korea, her unique background has also resonated well with Asian and Asian American audiences. An hour before her San Francisco performance, I had a chance to sit down with Kim Chi and discuss her experiences on the reality show, the overwhelming reactions she’s been receiving, and what’s next for her career. When I first met her, it was quiet intimidating as she stands over 7’0 tall and is stunningly gorgeous—even more impressive than on TV. But quickly, her kindness and gratitude made for a warm and pleasurable conversation. Hello Kim Chi, welcome back to the Bay Area! How have the reactions been and is it what you expected? I’ve seen my friends go on the show like Pearl and Trixie [Mattel] and saw what came with the show, so nothing is too unexpected. But it’s really cool to see my social media blow up and lots of random people the street who recognize me. Were you worried at all before the show the aired how they would edit you? Or were you pretty comfortable with what you did on the show and felt like it would come off well? I mean I gave my best, so it was in God’s hands (laughs). I have no complaints on the way I was portrayed. You were pretty open about your personal life and your family, was that hard to do in front of the camera? I mean generally I’m a secretive, quiet person. So I don’t like to reveal too much and Drag Race brought out a lot of things out of me that I shared with the world. On Drag Race, you’re in the finale with two amazing drag queens. What would it mean to you if on Monday they announce you are the winner? As cheesy as it sounds, all of us have already won because we’re on the show, getting the exposure and being able to showcase our talent. But if I were to win the show, it would mean that I would finally be able to represent a side of Asian culture and [represent for] all the kids who felt the way I did, on a nation-wide level. You’ve mentioned on the show your interest in doing drag in Korea. Do you feel like Korea is ready for Kim Chi? Actually, I can’t tell too many details about it, but I have received an offer to go to Korea! So I’ll be going there soon. That’s exciting! 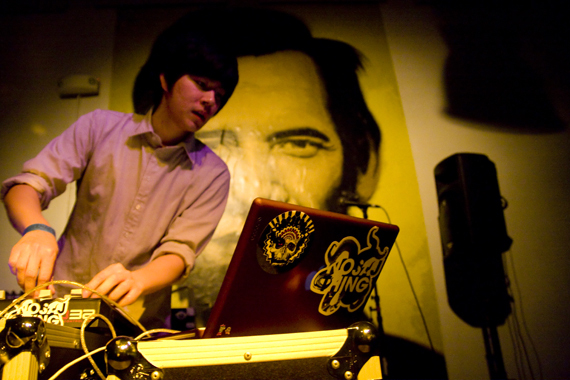 Growing up were there any Asian or Asian Americans in the media that resonated with you? Asians in American pop culture are generally portrayed in a comic relief way. They make fun of the way we talk and the way we act. The only Asian Americans figures in media [that come to mind] are Margaret Cho and Lucy Liu. Do you feel that you’re a role model? Have you received reactions from Asian Americans? Is that overwhelming to hear that you’re having this impact on so many people? It’s really cool. I finally feel like I’m not alone and whatever I went through as a child, there are others [like me] and some who go through worse. When you think of the Bay Area, what comes to mind? Any foods you’re excited to eat? I’ve heard rumors about San Francisco sourdough. I’ve never tasted it. I want to try it, but sadly I have to leave early tomorrow morning. Aww, that’s too bad. Is that something you try to do when you travel and perform in different cities? Taste different cuisines? Yeah definitely. I try to pick up things, see what is this area known for and I have to go taste it. You can find me on Instagram, Twitter and Facebook. 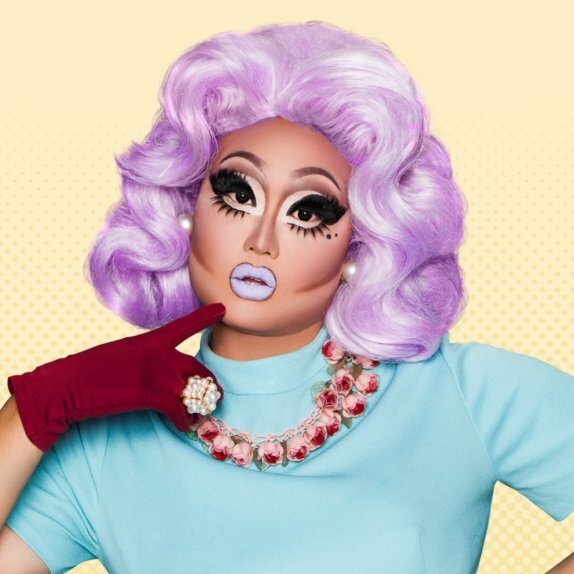 All of my handles are pretty much the same, it’s KIMCHI_CHIC. And for RuPaul’s Drag Race, people should use #TeamKimChi. Yup. And I have some fun projects coming out, I’m doing a makeup collaboration with Sugarplum cosmetics. I’ll be launching Kim Chi eye shadows, which is the first of other things coming up. That’s coming out on May 16th. And other projects will be announced very soon. Thank you Kim Chi for the interview.